ITW EAE, a division of Illinois Tool Works, has made a commitment to addressing environmental health and safety and sustainability in all of its manufacturing. The company has just achieved a major milestone by meeting REACH and RoHS compliance for its Despatch lab ovens (LAC, LBB models). REACH (Registration, Evaluation, Authorization and Restriction of Chemicals) is a European Union regulation that limits the production and use of chemical substances with potential impacts on human health and the environment. RoHS (Restriction of Hazardous Substances) is another European Union regulation that restricts the use of specific hazardous materials found in electrical and electronic products. The intent of these regulations is to reduce or eliminate hazards to the environment and human health. 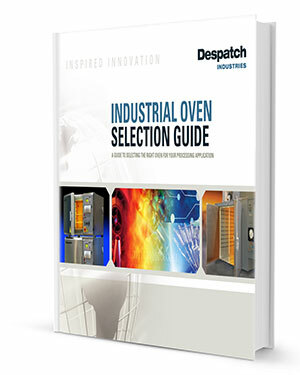 To meet these regulations, ITW EAE needed to analyze every component used to build a Despatch lab oven. They worked with a third-party provider with a database of 75 million components and 31,000 suppliers to complete the data collection and verification that is needed. Any parts that were not in compliance were then replaced to meet compliance. The effort will be continuously monitored and updated to maintain compliance.